Less Lethal Tools Less lethal is a common term, especially in the law enforcement realm. Less lethal is a common term, especially in the law enforcement realm. This means you have options to use deadly force, or tools you have available that are not deadly force tools. A gun is considered a deadly force tool, as opposed to pepper spray, tasers or an impact weapon like batons. Those are considered less lethal tools. The reason I’m talking about this is because a lot of people out there are in states where it’s difficult to carry in certain places. Yet you may still have the option to carry something that’s not a firearm. It’s a great option whether you’re carrying a firearm or not. As a police officer, I’m usually wearing plain clothes, doing detective stuff, but as a patrolman, I always have the baton belt full of gear, with a taser, pepper spray and a baton handy, as well as a firearm. As you know, the gun is not always the answer. In fact, the majority of the time, it is not the answer. If you think about it, and you’re carrying a firearm and that’s all you have, that’s your only choice, your choice is to run, to get away, or comply, or you have your gun as an option. So having something that’s in between that, if the situation did not warrant deadly force, but could potentially become a harmful situation, it’s nice to have an option. Plus, you may not be able to legally carry a firearm in a lot of places. Some things to think about with these kinds of tools, less than lethal tools, would be pepper spray or a pepper spray-like device, or a stun gun or taser. You could also consider an impact weapon. However, lets shy away from the impact weapon, except for folks who are specifically trained to use those weapons. Even though they are less lethal options, those require a bit of work to use. They require strength and a lot of skill. But having a taser, stun gun or pepper spray, with minimal training needed in order to use them, they work fairly well, these are not bad options. Less lethal options are also handy for encounters with animals, if let’s say a rabid animal or a dog, I’ve seen many news stories in just the last year where people got attacked by vicious dogs, some even been killed, so having something to defeat them would be good. Obviously a firearm is a good weapon as well, but as I said, a firearm is not always something you have at your disposal. A stun gun is a small hand-held device about the size of a cell phone. You activate it using a button and you have two contact points, with a battery inside. They create an arc and a spark, putting out decent voltage that would certainly shock somebody. The intent is hopefully getting them to stop doing whatever it is they’re doing. The disadvantage with a stun gun is, you need to physically be in contact with the person. This means you have to push it against them. If you push it against something like a heavy jacket it may not work. It needs to be direct contact with skin, through a light T-shirt or something like that to work well. Then there are the TASER brand of handheld personal Tasers for civilian use, which is a great tool. What a taser does is a little bit different than a stun gun. It also has two prongs, and is also battery operated but it puts out a charge in between those two prongs. It shoots these prongs out. Based on which type of model you get and its capabilities, you will have different distances it will reach. It shoots these two prongs and they lodge into the person. This creates an electrical current between the two prongs. Which lets you send a shocking effect that works very well. 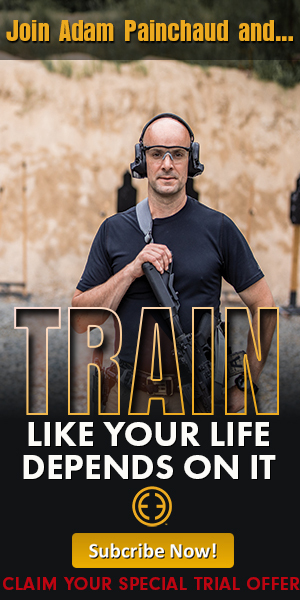 I encourage you to seek training for using these, if you’re going to carry one. In the law enforcement profession we have to be certified and trained annually to use these. But it’s not a requirement for our civilian friends, so it’s a great tool. They work very well, while having your gun as a backup. We’re talking about tools you would use when you’re not in a deadly force situation. If things have escalated, to a potentially harmful situation, you would legally be justified in utilizing force against another person. So you need to research the laws in your area to see if one these weapons are legal and get a feel for what you can use depending on different circumstances. For more on using pepper spray, which is a great tool, shooting a wad of pepper spray at somebody you always go to the face. If you spray pepper spray on the body it won’t have the effect you need. You want to shoot the face, to get the external forces on the face and eyes, mouth, nose, ears, and such, that that’s where you get the stopping effect. 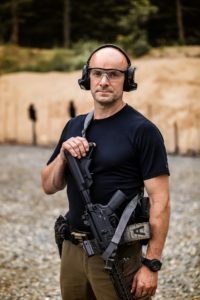 Adam Painchaud, formerly Vice President of Sig Sauer, is one of the most highly-regarded, small unit tactics and advanced firearms skills instructors in America and the world. Adam is the driving force behind E3 Firearms Association. 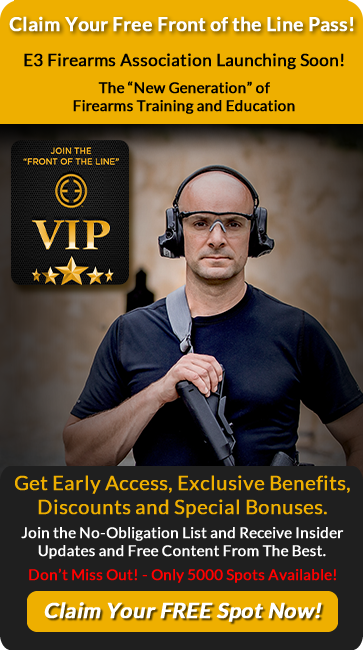 Is a Clean Gun Important? How Often Should I Clean Mine?